Few artists have such dedicated fans as Elvis Presley. Thomas Melin, who is a public relations officer at the Faculty of Arts, has lived with his idol for over 30 years and not a day goes by when he doesn't think of him. "Yes, Elvis is a big part of my life," says Thomas, when we meet in his apartment, while the sun sets over the harbor entrance. All in all, I was pretty pleased with the end result, including the layout. From personal experience working as a journalist, I know how writing about someone with a keen interest in something, like an Elvis fan, can be a delicate balance. One the one hand, you don't want the one you interview to stand out as a lunatic, on the other you want to be able to explain why that person is so fascinated by his or her hobby. To get inside each other's mind"
my name is Rebecca and I'm conducting a survey for a research project I'm currently doing at uni. I would really appreciate if you would take the time to answer these short questions! It would not take longer than 15 minutes. I may use your answers in my assignment, but the survey is completely anonymous and I will not use your name or any other information about you at any time. The final assignment will not be published anywhere, it is only done for the purpose of this subject. If you want to help me with this; please answer the following questions and send them back to me (rebecca_j85@hotmail.com). 1. Are you aged 18 or older? If you are not over 18 please exit the survey, thank you for your time. 3. Why do you like Elvis? 4. When did you start liking him? 5. Do you remember why you first started liking him? 6. Did you first start liking him because of a particular event, or at a particular moment? 7. Did you ever go to a concert with him? 8. Do you identify with him? 9. What do you have in common with him? 10. What impact has being a fan of Elvis had on your life? 11. Have you made any changes to your life as a result of your admiration of Elvis? 12. In what ways do you express your passion for him? 13. Are you a member of a Elvis fansite or fan club? 14. Have you ever created any material of your own about Elvis? 15. If so, what kinds of things have you created (scripts, videos, mashups, articles, blogs, pictures, events etc.)? 16. 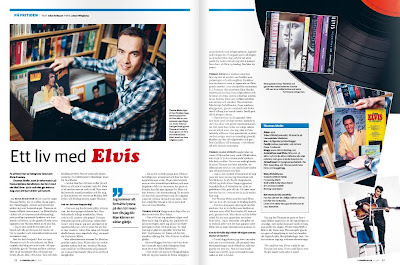 Are you active in online forums connected to Elvis (or chat rooms)? 17. Do your friends like him? 18. How do you find information about him? 19. What has changed over the years since Elvis first became popular? 20. How have new technologies changed things for Elvis fans?? 21. Do you feel like you have a connection with the him? 22. Have you gotten to know new people because you both liked Elvis? 23. If so: Is this online or in offline life? 24. Do you enjoy talking to other people who like Elvis?